Not only is Level-5 working on a new Gundam game, but it's actually helping set up a new Gundam series with Namco Bandai. Level-5 is best-known for three things: Professor Layton, White Knight Chronicles, and its Inazuma Eleven. Now, however, the developer has a new major franchise to work on: Mobile Suit Gundam. 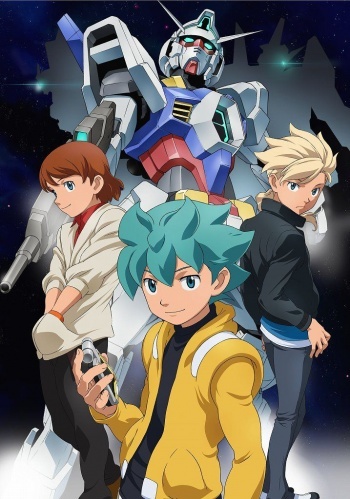 It was actually revealed last week that Level-5 CEO Akihiro Hino is involved in the development of the story and overall framework of Mobile Suit Gundam Age, a new series "which will span the full gamut of media, including manga, anime, a toy/model line, and games." Unsurprisingly, Namco Bandai just announced that Level-5 would be involved with a videogame based on the upcoming series. The game will be an RPG, but not much else has been revealed. On top of this, characters from the new series will be featured in the next SD Gundam G Generation game, but it's not clear if Level-5 will be involved with this. Aside from these new games' existence, there really isn't any other information available yet, including an actual release date or the platforms they'll come out for.